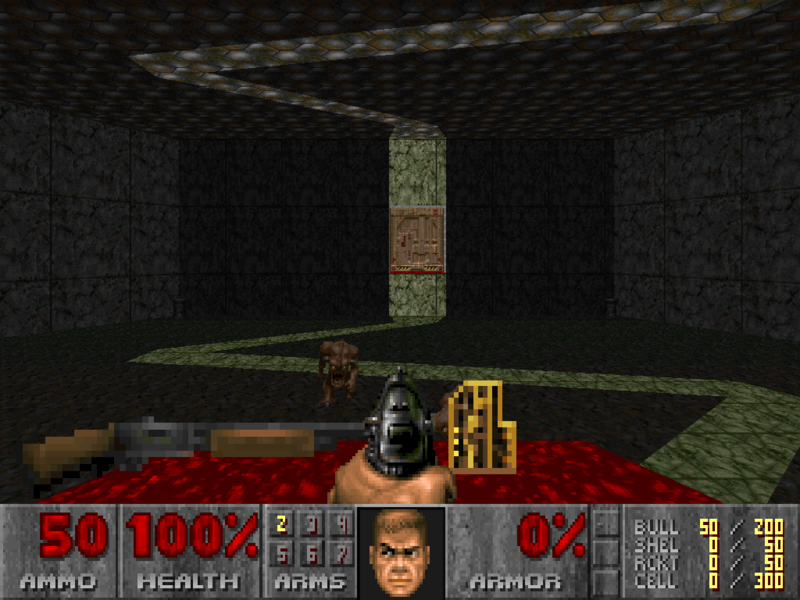 This is the Lost Level of DOOM, the one your mother never told you about! A big, complex WAD, almost 200K, this one is not for novices. your mother never told you about! one is not for novices. Additional Credits to   : DEU 5.1 and BSP 1.1. Build Time              : Over 40 hours of creation and testing. Known Bugs              : No known bugs. without cheating, using these hints. Your player starts in this room, but don't stick around long. This room connects the other three major sections. Move quickly to the next section and deal with this room later. Not too difficult, but watch your back, and don't miss the secret. to acquire the red key. mad at each other, then hide somewhere and watch the fight. Finally, save often and horde your major firepower for the Showdown. where x is the difficulty level you wish to play at (1-5). Or you could run the batch file LL.BAT, included in this archive. effort was sacrificed to make an already great game even better.